Is LogMeIn down? Having issues while connecting with the software company, check current issues if it is not working. LogMeIn is a computer software company which was founded in 2003, the company provides different types of services primary of which is remote connectivity services for collaboration, IT Management and customer engagement with business. The products of LogMeIn for different types of tasks are LogMeIn Pro, LogMeIn Central, LogMeIn Rescue, LogMeIn Hamachi, LogMeIn Backup, join.me, RemotelyAnywhere, Xively, Cubby, BoldChat, AppGuru, Meldium and LastPass. All of these products have there own functionalities and people uses them for different types of functions. Here you can see reports about the errors and problems which the users of LogMeIn products submits here, the error types are also described with short sentences. Some times the server of LogMeIn is also goes down due to the maintenance work or some service upgrades. 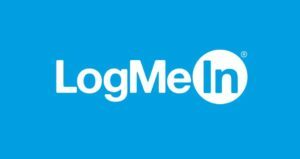 The outages with LogMeIn services are rare and never happen frequently, however the problems can arise anytime, so if you ever find LogMeIn down you should submit a report here. If today you are visiting this site and got the error with any of the LogMeIn service, you must submit a report here with a little short sentence about problem which you experienced while using LogMeIn.